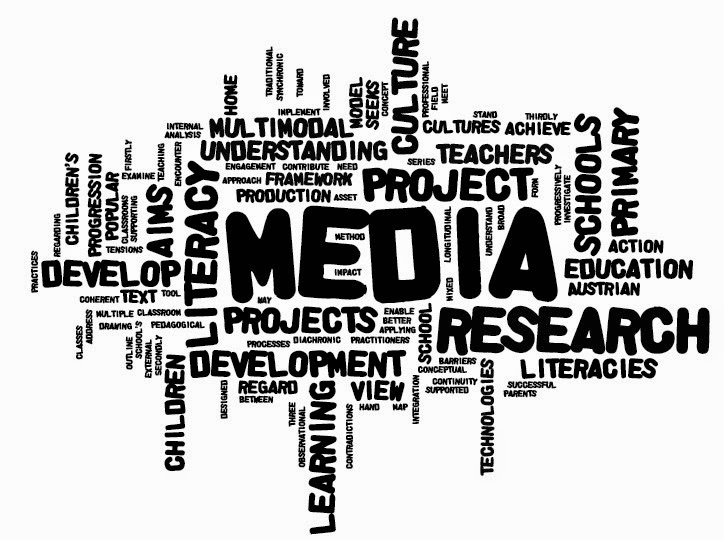 Media and entertainment industry is one of the fastest growing industries in the Indian market at present. Several factors influencing the high growth rate of this industry are the privatization and expansion of broadcasting channels, liberalization plans of the government, digital arrangement for film making and distribution and many more. The Indian Media and Entertainment Industry (M&E) is a vibrant industry & has had a tremendous impact on the lives and the Indian Economy. The industry informs the country through entertainment & has been a catalyst for the growth of the large parts of the Indian economy. In 2013, the Indian Media & Entertainment Industry (M&E) registered a growth of 11.8 percent over 2012 and touched INR 918 billion (Source : FICCI-KPMG Report 2014). At the same time, the industry began to see some benefits from the digitization of media products and services and growth in regional media. This drives demand for various products and services. The media plays a significant role in our lives today and is all pervasive with touch points ranging from television to newspaper to films to radio to outdoor properties. With the addition of new media such as social networking services, animation and VFX, online gaming and applications running on mobile devices, a new dimension has been added to the world of media that was dominated by traditional media. In addition to their implicit impact, all media platforms provide a great opportunity to carry explicit messages to create social impact. A study by PricewaterhouseCoopers asserts that the media and entertainment sector outlines a 35,000-crore trade in India and it is expected to grow over the next few years at the rate of about 19 per cent. It is also been stated that there has been a vast investment in the media sector in current times and it incorporated investment in the infrastructural services including broadband internet connectivity, home cable television, digital cinema as well as movie theater complexes. Indian media industry’s different sections - film, television, advertising, music and radio industry has witnessed a remarkable growth in last few years. From the era of black and white movies now it has reached to a level of high definition movies and broadcasting. Businesses are successful because their products, neatly designed and attractively packaged, are ably aided by effective communication. The communication may be through various means and media and the packaging may be mind mindbogglingly complex at times, but all of these work hand in hand to give the product an edge over its competition in the market. Most MBA aspirants do not look beyond a traditional MBA programme. They do not know that there may be a better programme more suited to their creative bent of mind and better meeting industry requirements. All the institutes put together providing Communication as specialization don’t even cater 1% of the career opportunities in Media industry. As a result there is a huge demand-supply gap that needs to be fulfilled. Traditionally, a regular MBA program focuses more on business related subjects and specializations. However, with increasing competition, Industry is also demanding domain specific specialization. The phased progress in digitization has been the stepping stone for the industry’s growth and success, thereby bringing about a paradigm shift in key indicators, particularly within the domains of TV and film sectors. In terms of print media, the rise in literacy rates, significant population growth, resilience in agrarian economy, the rise in incomes in smaller towns and the entry of big players in regional markets is likely to drive future expansion of regional circulation and readership across India. One can expect to get in to Branding, Corporate Communication, Marketing and Advertising, Radio Planning and Communication, Journalism and Mass Communication, Media Data Analytics, Event Management and Digital Media Marketing after pursuing Communication Management Programme. Therefore, if you have a flair for writing, advertising, branding, events, reporting, journalism and media management, communication management is the ideal option and will promise one of the most promising futures. When one talks about cage football, the first images that comes to one's mind is that of the famous Nike ad where the likes of Francesco Totti, Luis Figo, Cristiano Ronaldo, Roberto Carlos play against each other in a secret tournament hosted by Manchester United legend Eric Cantona in a moving ship. The Secret tournament (also known as Scorpion KO) was a Nike Campaign, which featured 24 - contemporary football players and Eric Cantona as the Tournament Referee. The concept was a fictional tournament involving eight teams of three of football’s top players in a first-goal-wins elimination.. The matches were staged in an enclosed pitch on a ship. This was a very unique concept which took the world by storm and the breathtaking skills by the legends of world football that made the campaign an overnight favorite. 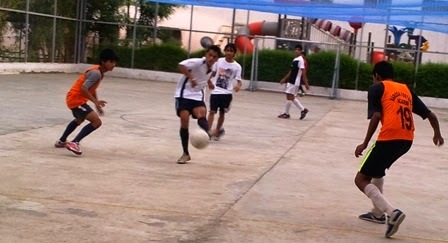 The Ahmedabad youth is all set & geared up for a cage football tournament where the stars will be the local footballers. The SBS Cup Cage football tournament consists of various Champions titles for different age groups with popular championship titles as Under 14, Under 16, Under 19, Open group and Corporate. The Cage10 had a super success at Shanti Business School last year in June 2013 and the previous year in June 2012 with hundreds of footballers across the cities of Gujarat participating every year..
Shanti Business School is the pioneer in bringing the cage football concept to Gujarat. Along with providing venues and basic amenities for the tournament, Shanti Business School also helps in promoting this sport in the western region. The Cage10 football tournament is organized by Kickoff India and is partnered by Shanti Business School for the Gujarat zone. Kickoff India is currently India’s premier football website and provides exclusive content only about Indian football. Founded on 1st February 2010, Kickoff India’s content includes news, features, players blogs, and author’s columns. 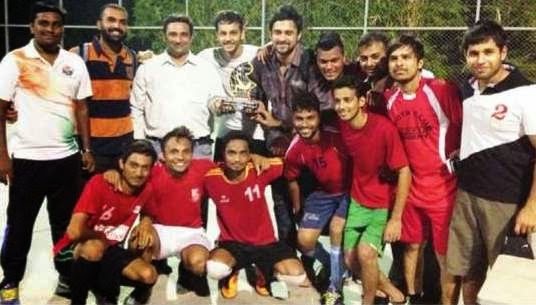 The website also includes the indepth statistics of India’s premier football tournament i.e. I- League. Kickoff India has a thriving user community and the numbers are double folding every month. Kickoff India is the only website dedicated to Indian football (kickoffindia.com). Its a shorter version of football played inside a cage and with 5 players on each side. The trend which is already very popular in cities like Mumbai, Delhi and Bangalore has reached Ahmedabad. Each Team consists of 5 players and 3 substitutes. Each half is of ten minutes with a five minute break. There is no outside or corner in this game, the cage ensures that the game continues without a hault, unless someone gets injured, the referee calls for a half time, in case of a foul or a goal is struck. The cage Dimensions are 30*17*3 meters. The lawns of Shanti Business School bustled with enthusiasm as it celebrated its 3rd Convocation for its PGDM(Business), PGDM(Communication) students of 2012-14 & PGDM (Executive) students of 2012-13. It was a pleasant evening to witness the spectacular procession of graduating students led by the Gurkha Band. The majestic rhythm of the procession led by the Gurkha band mesmerised more than 800 spectators & compelled them to get up from their seats. A batch of 180 students, all well placed in top companies were awarded their Degree Certificates by the Chairman, Shri Vedprakashji Chiripal. Present as the Chief Guest for the ceremony was the Honourable Minister, Shri Bhupendrasinhji Chudasama, to grace the occasion. Prof Alan D’Souza, Dean SBS/SCS congratulated the Graduating students for their commendable achievement & inspired them to have a clear vision of their future goals. In a special mention, he quoted Shri Narendra Modi about his efforts in the development of the country and how each student plays a major role in bringing the desired change India is looking for." Tears of ecstasy overflowed through the eyes of overjoyed parents as they witnessed their wards not merely receiving degree certificates but also exquisite placements with the highest package being Rs 9 lakhs per annum and average package being 4.60 lakhs per annum. It is a remarkable feat for Shanti Business School to have successfully held its third convocation with yet another year of 100% placements of its students. There were more than 147 companies with about 1378 openings for 180 students. Some of the top recruiting companies this year were Pepsico, Vodafone, TCS, Parle Agro, XL Dynamics, Millward Brown, Future Group, Times Of India, Khimji Ramdas, SNL Financial and many more. After the convocation dinner, the students celebrated by dancing the night out as they head from classrooms to board-rooms! Sandesh >> ડિગ્રી મેળવ્યા પછી જવાબદારી વધી જાય છે.